Eco-friendly pdf and printer driver to save money on your daily print jobs, Greencloud® is a cost killer software for your ink and paper usage. You can even convert Word to Pdf !! it includes a Word to PDF converter free. 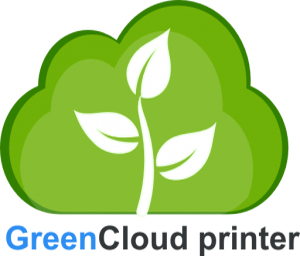 GreenCloud for pdf and printer – Good for your wallet, good for the planet. Why it is the best toner saver solution ever? because it’s a software. What is the problem with current printing dialog? Each app may offer a different user experience and interface, actually the drivers of each printers works differently and offers advanced option than most users don’t use because it requires too much click to access them. Using GreenCloud Printer as your default printer, you will have consistent experience and whatever the printer or hosting service to share your document you will have the same functions anywhere, anytime. Who never waste papers because you have an extra blank page or a page with only 2 lines of text which is the header of a web page. Especially true when you print web pages so basically a few pages. that’s where you waste the most of papers, inks, and so trees. Save your time, save your money, just preview and validate the pages you really need to print, or combine several pages when it is only a draft or paper to read job. With GreenCloud Printer, our test panels shows you can save an average of 35% of paper by merging pages on each sheet of papers or just remove unwanted pages before it is too late thanks to the preview dialog ! In 1 click you can also choose to use the two-side ( duplex ) mode of your printer, or also reduce the ink to be used by turning to dark grey instead of pure black the font. For the office, and people working with Word, you can remove your existing PDF converter as you can convert doc to PDF free directly from the print menu. We don’t want GreenCloud printer to be boring to use, so we have implemented badges, which will reward you when you save paper, ink or trees by using one of the tools available in the application. Using a green printer driver is cost effective alternative to toner saver provider. With the pro version you can view your exact consummation of paper and cost per day, week or month. If you need a GreenCloud manual, you should just look at our forum. Or look at our short videos on Youtube (on top of this page). A lot of people only think of buying cheaper ink cartridges and other sustainable hardware solutions, but GreenCloud Printer is a great alternative to existing ink saving software for windows 7 and 8 (works on Vista and XP too). Start today feeling happy to download a cost killing software solution, an eco friendly eco saving money driver to save per page cost and become a sustainable part of green active members. It’s suitable too as a solution to convert word to PDF.